Welcome back to Mini of the Week, Halloween edition, where every Friday I will find a miniature from around the web that exemplifies an aspect of our hobby and share it with you. 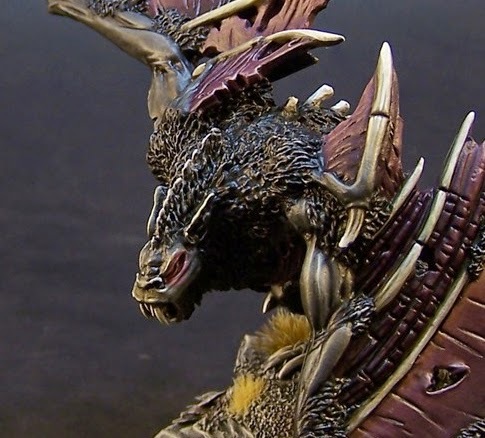 I'll be the first to admit, I am not a big fan of the Varghulf model. It just seems awkward and clunky, similar to the Gorger for Ogre Kingdoms. I really like what this hobbyist has done with it here though. It almost feels like a completely different model, and the conversions are so subtle, you might not even notice them unless you saw them side by side. The wings have been expanded, adding on an extra section of membrane closest to the hands, the arms re-positioned to be more open, the teeth re-sculpted to be more fang like and that awesome swarm of bats added onto the raised wing. All of these changes help to make the model more bat like and intimidating. It looks much more threatening and fluid then the stock pose. Those are only the changes I noticed as well, there may even be more. That bat swarm is really top notch, it adds so much character to the model, almost making it a mini diorama. The painting on this guy is great as well. Everything is very smooth and the use of an off red for the wing membranes really makes everything pop. I also particularly like how he painted the structural parts of the wings as bone. I don't know if you can tell but the eye is amazingly painted too. Not just the glow effect, which adds some real menace to it, but the eye itself, it has so much depth to it. 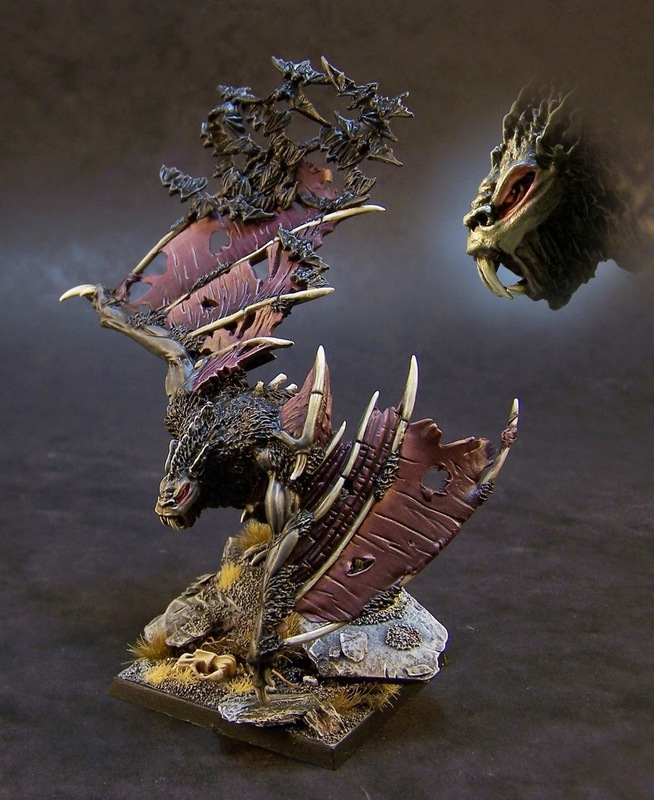 If only GW had made the stock model more dynamic like this one, then maybe the poor Varghulf would be seen more on the table. I love when hobbyists can see the potential in a model that initially may have seemed like a dud and produce something truly exceptional like this guy.